Let's make Chinese Dumpling Jiaozi,Shaomai, and pot stiker together. 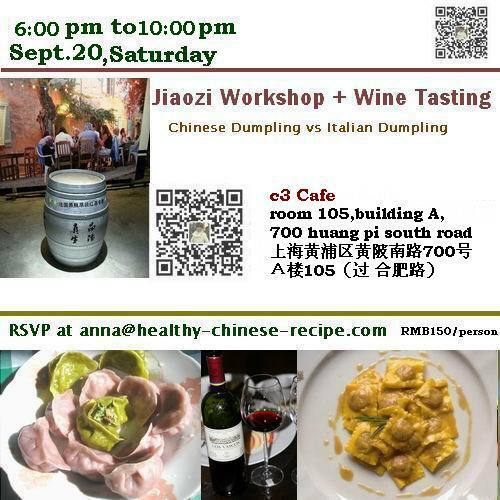 And enjoy various Bordeaux Dry White Wines, plus secrete gifts in lcuky draw.Ravioli and Tortellini are called Italian Jiaozi by some Chinese. We'll make them as well. We'll host in Pasta Lab. They'll provide us with featured Italian foods after making dumpling. All wines are original bottled imported from France. Please click here for about Jiaozi and World map of Jiaozi.